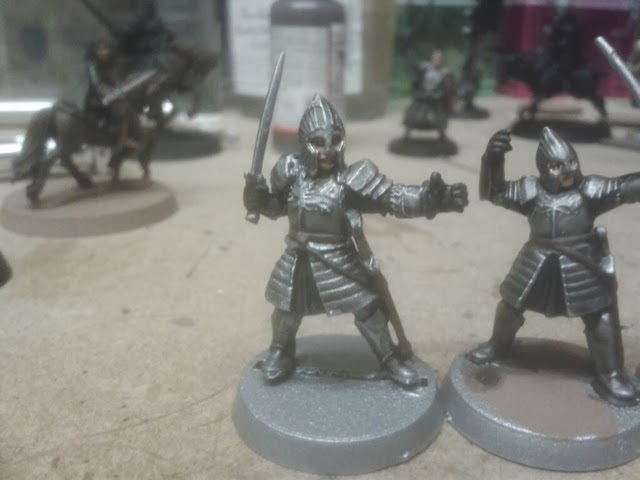 First off my numbers for the One Ring Backlog Reduction Oath (ORBRO!). Bought: 0 - check out that self control! February may be harder with Vapnartak tomorrow, although my trip will be cut very short as child number 2 has chicken pox and my friends have kindly offered to look after her. It may be like supermarket sweep at a wargames show! 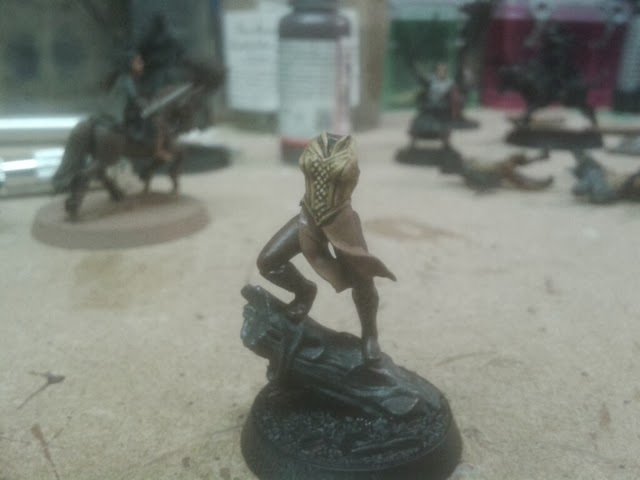 Elves are continuing slowly. Armour is shaded on all, but it's slow progress! 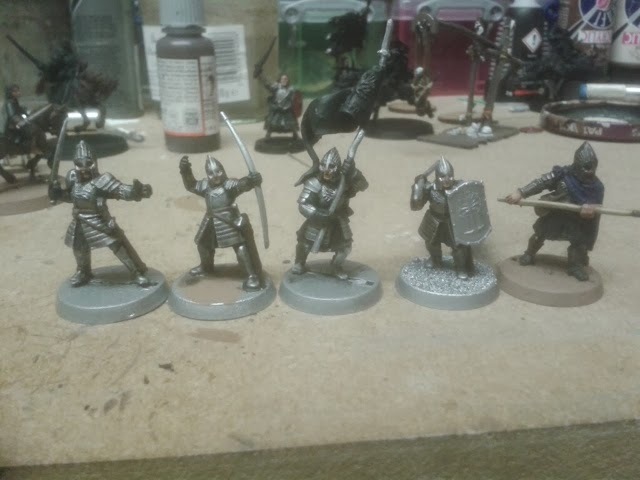 I've also been doing small bits of Gondor, so some WOMT, and a lone Osgiliath Veteran who turned up in an eBay lot. 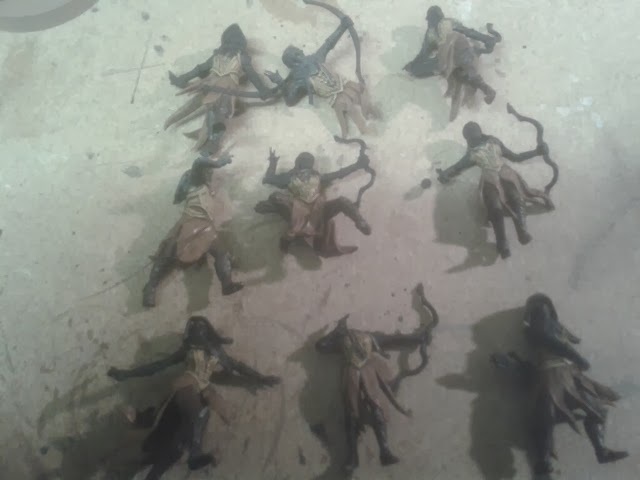 All need some finishing still. For some reason the siege crew member above had lost an arm, so he now has a new sword arm. 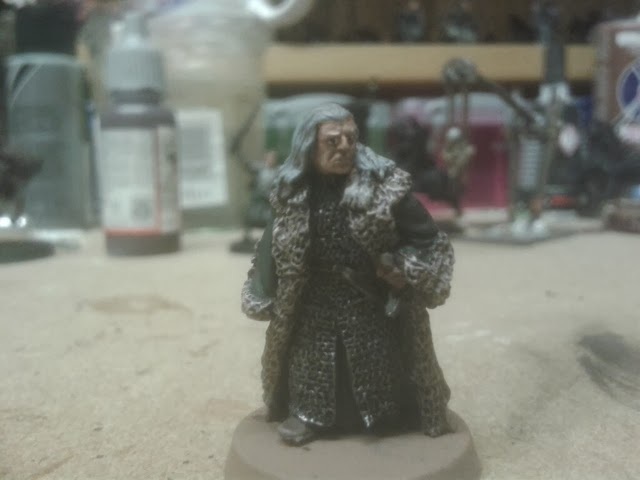 Finally Denethor is finished, he just needs basing. He was very quick to paint, and is a pretty good sculpt too. That's all for now. I'll try and take some photos at Vapnartak tomorrow, but may be pushed for time.